America is renown for high-speed car chases that are caught on camera and often broadcast live – well, in South Africa, we do something similar with cash-in-transit heists. Let's put this into perspective for those of you who don't live in sunny South Africa. 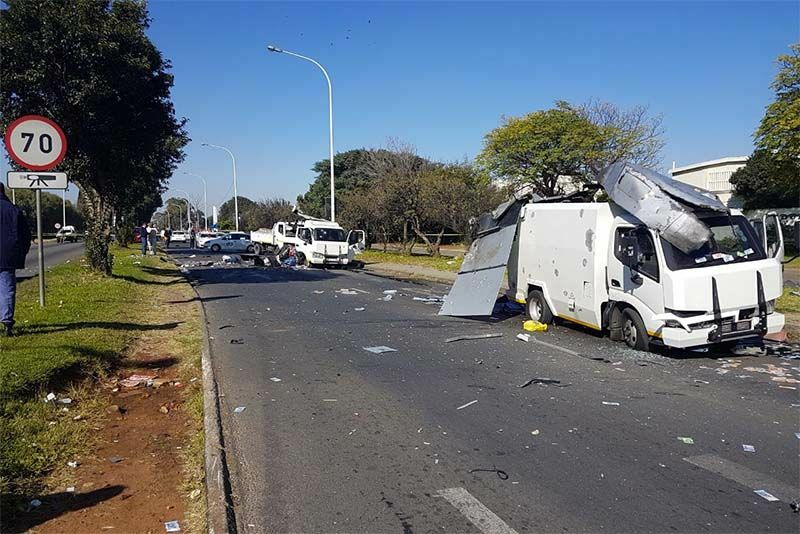 In the 2017/2018 financial year, there were over 200 cash-in-transit heists across the country, up 50% from the year before. Which is quite a significant number, almost four a week, and many are caught on camera. More alarmingly, the hijackers are so brazen that these heists are committed in broad daylight, often in heavily populated residential areas or on busy highways in the cities. The modus operandi usually includes two or more vehicles carrying robbers armed with Ak-47's, R5 rifles, and assorted handguns, none of which are licenced and have their serial numbers filed off. The guys either stop or push the target vehicle, an armoured truck, off the road and open fire. One of the guys then sets a bomb and blows the vehicle apart. There's often a shootout, like this one, as the armoured vehicles are accompanied by private security. The robbers make off with the loot within a few minutes, before police arrive. And, if that's not enough, once the hijackers leave, sometimes looters then grab as much of the cash that's strewn across the street as they can before the authorities arrive. So, if you're overseas, the next time you see the cops in hot pursuit of some chop, just be glad you're not about to witness a mini-war that could come straight out of a Hollywood blockbuster. Motorsports' Mad Mike Whiddett Heads To South Africa! Video: Man From South Africa Builds His Own Dream Car From Scrap Parts.